Dr. Abhay Kumar Pati, as an Oriya Enterpreneur, focuses on the modernization of Ayurvedic and Herbal Industry to use Indian Herbs and Medicinal Plants and related Life Sciences based Technologies, Products and Services in support of Green Biotech Industry developments in Orissa and India. Dr.Abhay Kumar Pati is a successful Oriya Entrepreneur residing in California, USA. Dr. Pati came to the USA almost 30 years ago on a fellowship. At that time, he was the publisher of an International Health Magazine called “Health World”. He is the founder and CEO of Biotechayur, Balasore, Orissa, India. 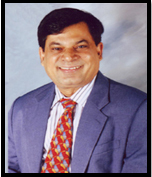 Dr. Pati is also the founder and CEO of Best Nutrition Products, Inc., CA, USA. He was born in Basantapur, a small village in the Balasore District of Orissa State in India. Dr. Pati is the grandson of late Pandit Kaviraj Jadunath Satapathy, who had inspired him to study ayurvedic medicine. Dr.Pati received his degree in integrated medicine, both in Ayurvedic Medicine and Allopathic Medicine from the J.B. Roy.State Ayurvedic Medical College(Asthanga Ayurvedic College, Kolkata University, West Bengal, India), one of the oldest and prestigious Ayurvedic Institutions in India. Dr. Pati has been living in the U.S.A. for almost 30 years. Dr. Pati has travelled extensively all over the world, and conducts his businesses in various countries. The business world can find out about his works and products via his websites, or by doing a Google search on Dr. Kumar Pati. The word, Ayurnagar coined and derived from the two separate words “Ayur” a Sanskrit word meaning “Life “and “Nagar” means City. According to Dr.Pati’s concept Ayurnagar represents a city or a place where industrious efforts and research studies are done to enhance the longevity and the health of life. Dr. Pati has secured the buildings and infrastructures in Ayurnagar Bio Park over 30+ acres of land in Khantapada, Balasore, Orissa. The manufacturing unit is founded in this park. Within the next 2 years, Dr. Pati expects to invest Rs. 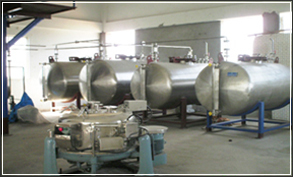 50 crores to manufacture nutrients and high-value products from Indian herbs and medicinal plants. All of these products (finished extracts products) would be exported on a large scale basis to many foreign countries. Another focus would be to extract aromatherapy products, using the concentrated phyto-chemicals from medicinal and aromatic plants from Orissa. As a non-resident Indian of Orissa and Oriya origin, Dr. Pati aims and speculates his funds would represent the largest Private investment from one individual from the USA for investment in the pharmaceutical sector for the State of Orissa, India. He expects to have the cooperation he needs from the State Government of Orissa and the Union Government of India, such as Department of AYUSH, Department of Biotechnology, Department of Science & Technology and other government agencies. Nutrients to be processed at this plant will include: Lycopen, Lutein, Carotenoid, superoxide dismutase (SOD), L-Phenylalanine, protein, amino acids and other nutraceuticals like Glucosamine, Chondroitin etc. 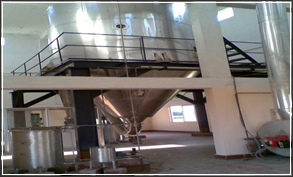 This plant will also manufacture herbal extracts from various herbs, medicinal plants, roots, and flowers. Already established are a State of the Art Laboratory and an Extraction plant with high tech modern equipment imported from the USA , France, Germany and others . 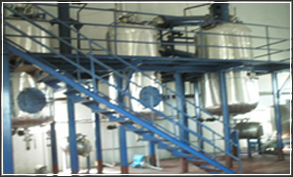 This manufacturing factory will make extractions and export to foreign market on a large scale. The proposed Clinical Research Institute will be established at Seragarh, a Town located between Balasore and Khantapara in Orissa, India. Dr. Pati is building a clinical research institute which will focus on clinical Research and development related to herbal extracts. In addition, this facility has a guest house and also a personal residence for Dr. Pati which will be used at the time of his Orissa visit. At the Clinical Research Institute, Dr. Pati - a lifestyle guru, would Like to focus on teaching healthy eating habits, using nutritional foods, and participating in exercise, yoga and relaxation therapy like Panchakarma (for people who suffer from various health problems). This location would also house a pathology laboratory, and research oriented small hospital for controlled and clinical studies on nutritional supplements and it’s relation with aging, health problems, diseases and prevention. Dr. Pati attributes many health problems to bad eating habits. He believes our own kitchen is a weapon of mass destruction of diseases ,which contributes to unhealthy life style .He cites examples on how certain types of cooking oil, overcooked food, and not eating enough green vegetables, or fruits can contribute to unhealthy lifestyles. The results of these poor eating habits may translate to health problems like hypertension, type 2 diabetes, heart problems, and high cholesterol etc. Dr. Pati adds that eating the right kinds of food, adding nutritional supplements, and getting enough exercise plays an important role in maintaining a good and healthy life style. This facility has a green plantation of over 3000 Neem trees on a small patch of land in Raigan Village near Raj Nilgiri, Balasore. Dr. Pati is seeking additional land for planting Neem trees and other medicinal plants on a large scale. He has suggested the local Government offices such as the District Magistrate's office of Balasore District and Mayubhanj District and Orissa Govt. agencies provide some leased land for medicinal plant cultivation immediately. The benefits would be a win-win situation for the State of Orissa, by creating substantial revenue and employment opportunities for the people of Orissa. Dr. Pati encourages local farmers to grow medicinal plants, which has a higher economic value than growing traditional crops. 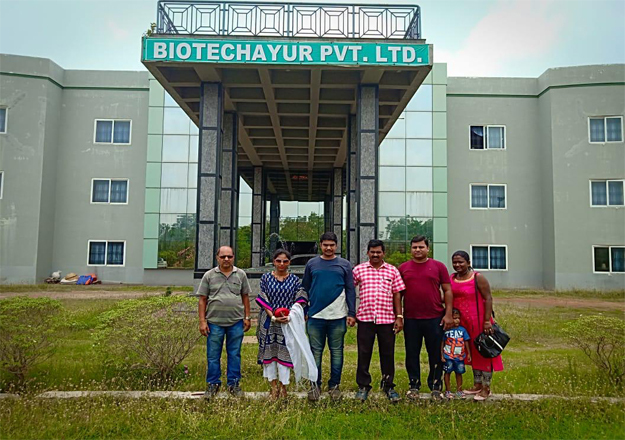 Biotechayur, a biotech-ayurvedics manufacturing company (located off national highway 5, between Seragarh and Soro, near Balasore). Dr. Pati has formulated more than 100 nutritional supplements, which are being marketed in US as well as being exported to more than 30 plus countries. Products are available in pharmacies and health food stores. Products are also sold on Ecommerce on the Internet. Dr. Pati also has designed a special formulation based on a hormone called Melatonin for travelers who frequently fly long distance of 10 hours to 17 hrs on a non-stop flight . His Melatonin formulation is being sold in many Duty Free Stores, as well as on board, including Singapore Airlines. Dr. Pati is the publisher of “HEALTH WORLD”, an International Health Magazine. He is also an author of several health books including “Vitamins and Herbal Digest”, a 360 pages book, which has been printed more than 7 times and sold over 1000000 (1 million) copies in the world market. In this digest, readers can find nutritional, Ayurvedic, Chinese, native American, South American herbal supplements and much more. Dr. Pati is an entrepreneur and author of many books on nutrition, herbal & botanical medicines such as "Fruits of the World", &"Alternative Health Therapies", "Ayurvedic medicinal plants of India" and many more. Dr. Pati is an authority on Ayurvedic medicine. He says Ayurveda has become one of the most important natural remedies among westerners, especially among Americans where people believe in natural organic and health foods. Ayurvedic medicine works very well, when it is in standardized extract form. When the active ingredients of an herb are extracted in high concentrations and administered in capsules or tablets and measured in milligrams, it works very well and quick. In the earlier days, the activity of herbal products, preparations and dispensing remained mainly upon the responsibility of a practitioner and was on a one to one relationship between physicians and his patients. It was a matter of sacred trust. However, with the socio economical changes in modern times, the technological advances, commercial factors, consumer preferences, changing lifestyles, etc. all influenced the way Ayurvedic drugs are being manufactured, marketed, distributed in USA, Europe and Australia , Canada and other western countries. Dr. Pati says, there are hundreds of Ayurvedic products, from tablets, capsules, tinctures, to perfumes, essences, and aroma-therapy products. Some of them are being manufactured in the USA widely available in Health food stores, and pharmacies in America. Many western people do not know which Ayurvedic herbal remedies originated from India. We know it from their respective scientific and botanical names. There are approximately 100,000 Health Food stores in the U.S.A. alone and 20% herbal products in health food stores are from India whereas 40% from China. Among the popular products are: Gugul for cholesterol,Ggymnema (Gurmar) for blood sugar, Valerian for insomnia, Boswellia for arthritis, Withania (Ashwagandha) as an adaptogen, Psyllium as a mild laxative and many others. Nutritional supplement Industries in the USA was a US$ 25 billion dollar business during 2006. Dr. Pati, continues to promote Ayurveda through his publications and websites. Dr. Pati says, we need our strength in technical expertise in the field of medicinal plants, biotechnology, phytochemistry, pharmacology, pharmaceutics, analytical chemistry, biochemistry, pathology and clinical research in order to do advance research and development in Ayurvedic medicine. Furthermore, he approaches Ayurvedic students, professors, physicians and researchers to work together for advancement in research on Ayurvedic medicine, the present and future of natural health care system. Ayurvedic medicine is not only used for a cure, but it is a preventive health care science. The Orissa Government must aware of the fact that it is a medical science and plant based nutrients are regarded as a big emerging bio-industry which has domestic and export markets. Our organization will be recruiting Doctors(Ayurvedic and allopathic), Veterinary Doctors, M. Pharms, Horticulturists, Botanists, Microbiologists, Chemical Engineers, Mechanical Engineers and other professionals. We are also seeking individuals who have work experience in Administrative, Accounting, Manufacturing, and Sales areas, to assist in exporting our Phyto-Chemical products. Dr. Pati appreciates your cooperation for his new ventures in Orissa, India.